Color is a fantastic theme to build a design around. One way to incorporate color is in the kitchen cabinets. 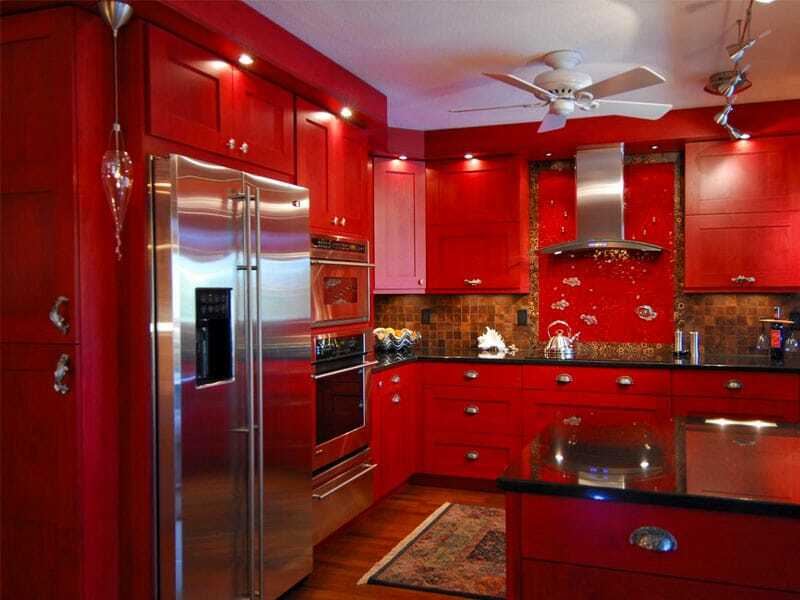 Red, for example, is an unexpected color in the kitchen that is fresh and lively. However, it is possible to have too much of a good thing. 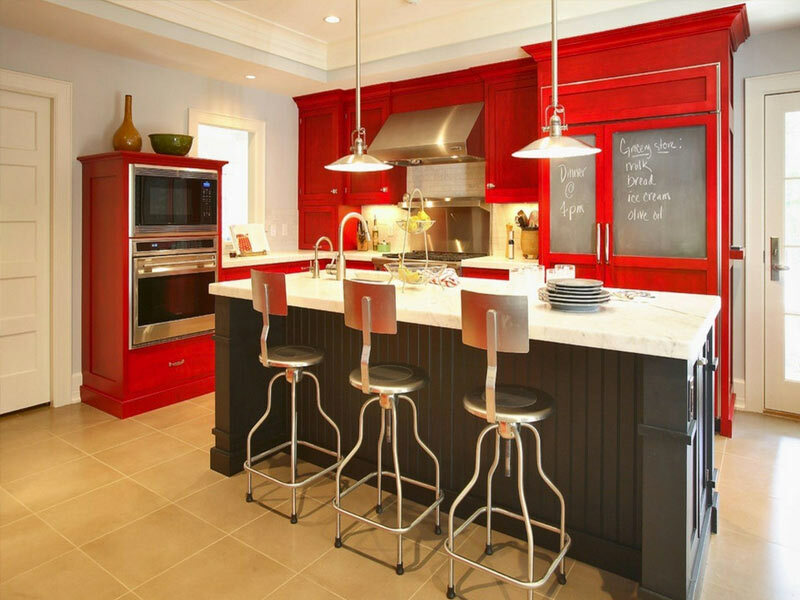 Here are a few do and don’t to making red kitchen cabinets work. A bright and bold color like red has more impact as an accent color than a monochromatic theme. Think a pop of red lipstick as a focal point instead or red hair, red cheeks, red lips on top of a red outfit. 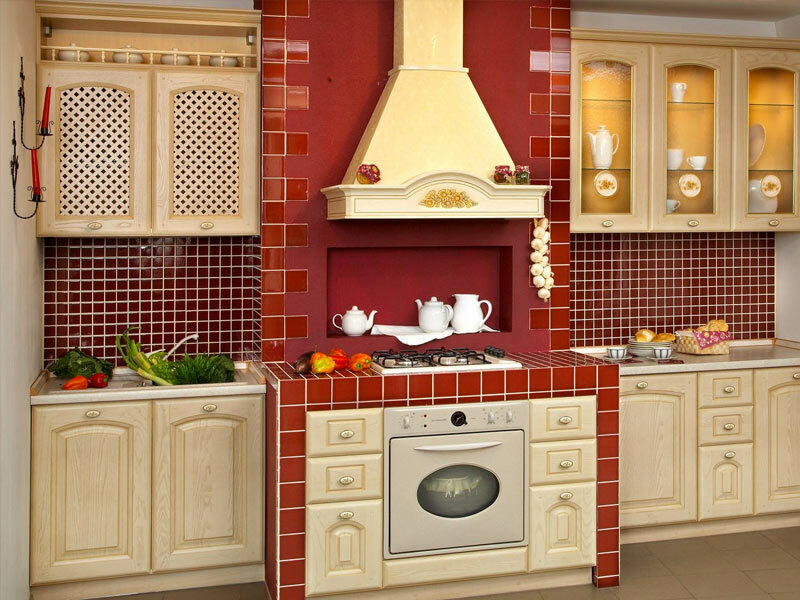 With red hues in the floors and backsplash as well as the cabinets, nothing stands out. 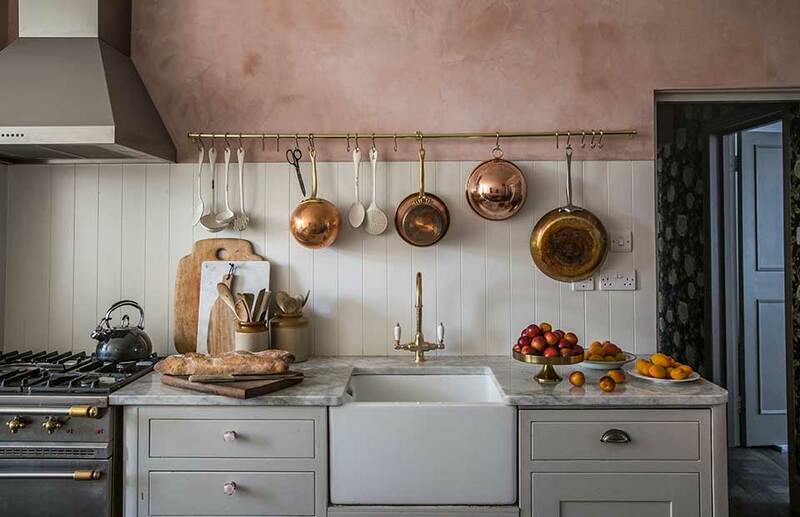 Adding unexpected elements adds personality and uniqueness to your kitchen. 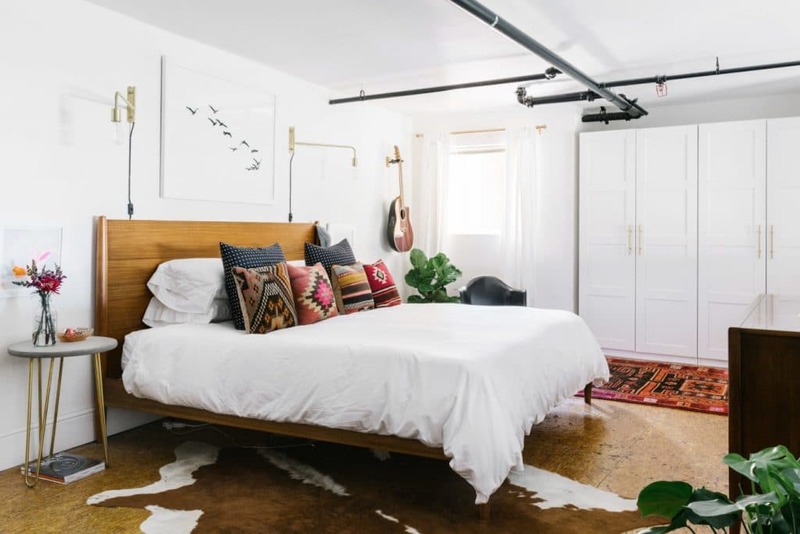 It’s like pattern-mixing for the home. 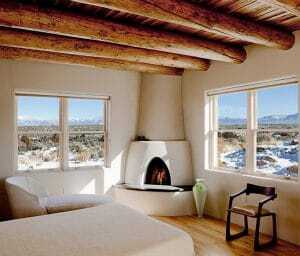 For example, vintage furniture can liven up a spartan modern design. While you can combine small polka dots with large for a fresh look, adding stripes to the mix can be too much. The above look just has too many different eras happening at once. Country kitchen style cabinets can work with the trendy subway tile and marble backsplash or industrial lighting and chairs. All three is just too much. So have fun combining differing styles but limit it to two to get the right effect. 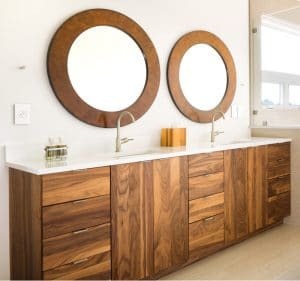 A common piece of style advice is to choose a focal point. This applies to everything from selecting an ensemble to designing a kitchen. 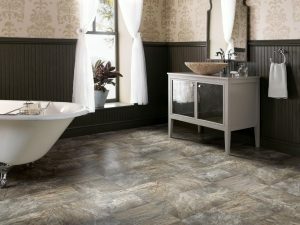 If you are opting for a colorful feature, that will be the focal point. 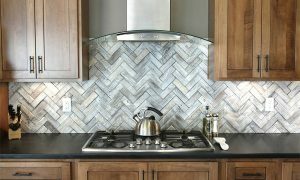 This busy kitchen is overwhelmed with detail everywhere from the white grout between multiple tile sizes to lattice work and moldings in the doors and a teapot collection. 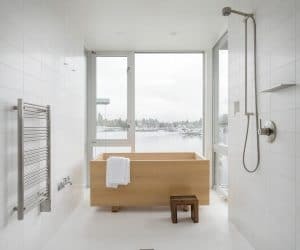 The result is a cluttered appearance. Red and white is a bold color scheme that never goes out of style. Just ask the Swiss, who have been waving their iconic flag since 1889. 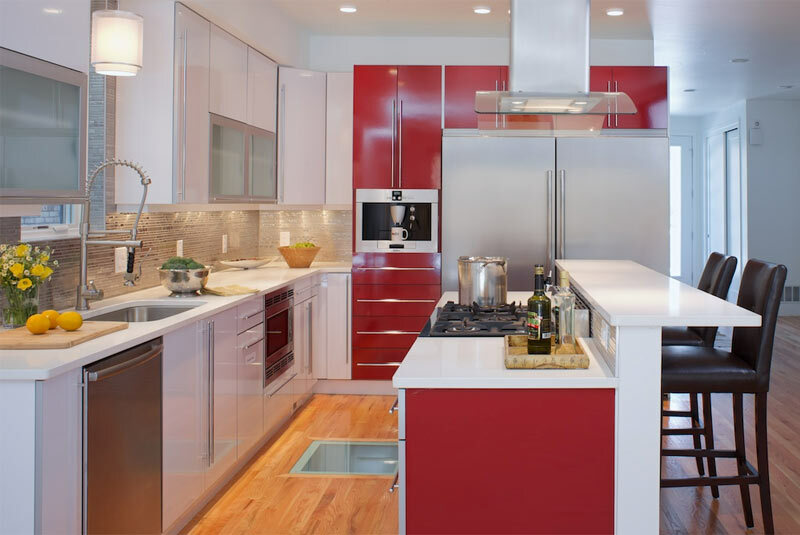 This ultra modern kitchen design keeps it bright with high gloss cabinets and light colors all over. 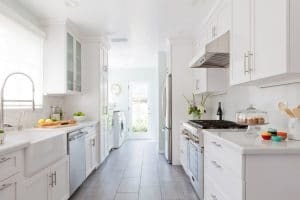 White isn’t necessary but the light flooring, backsplash, and counters keep the kitchen bright and airy and make contrasting red cabinets stand out. 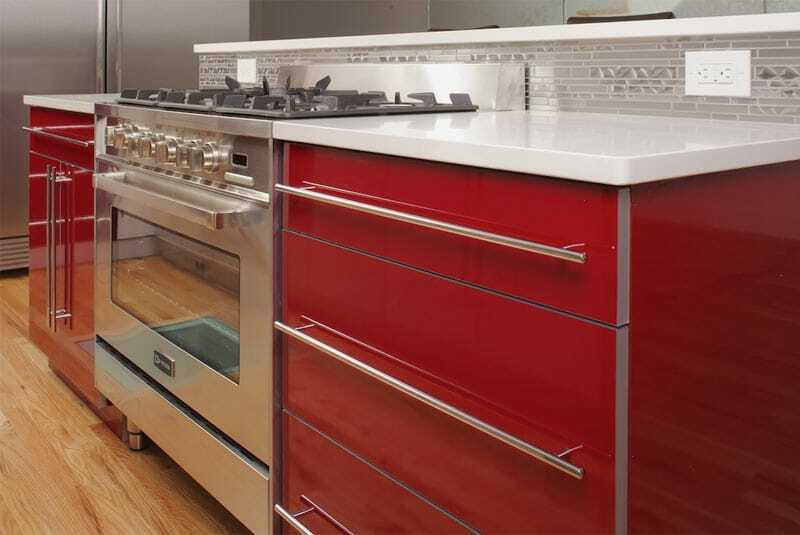 Glossy red and white cabinets are accented with stainless steel pulls and acrylic edge banding. Red kitchen cabinets are limited to the island and one wall to keep a gleaming white kitchen as the focus with a pop of poppy red. Don’t assume that all kitchen cabinets have to be the same color. 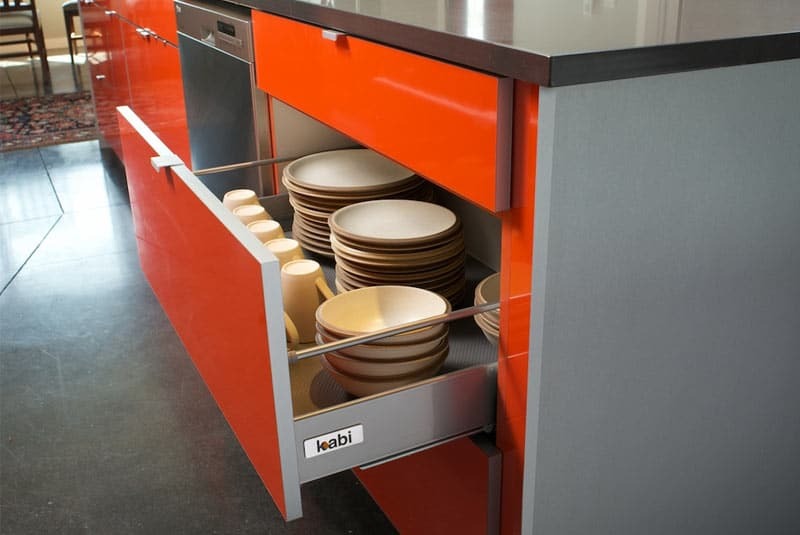 Many companies, like Kabi, offer an extensive line of finishes so you can mix and match. 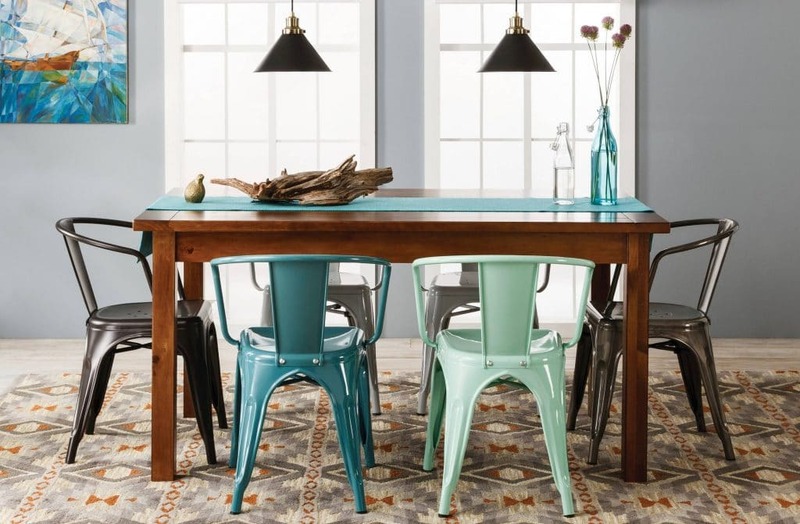 Choose a bright accent color that offsets a neutral or two. Here, a grey center island matches upper cabinets with a warm tan over the stove. 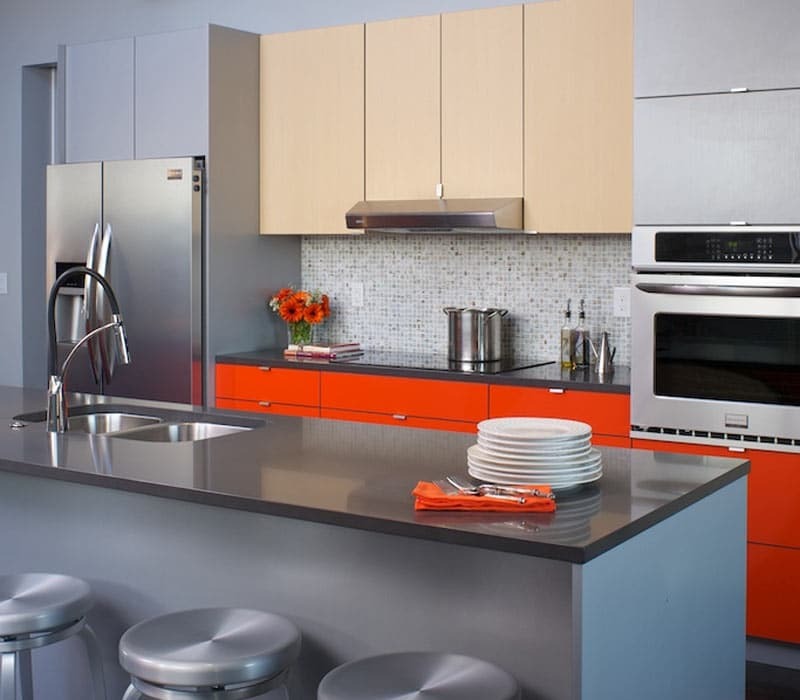 The calmer tones make the orangey red pop without overwhelming the space. 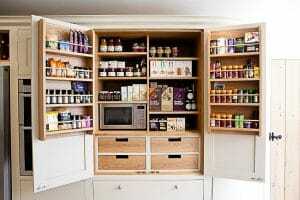 The general rule for multicolor cabinets is to keep the darker cabinet below because it carries more visual weight. Here, the red cabinets are on the bottom. If the other color was a dark grey or something else darker than red, that would go on the lower cabinets.